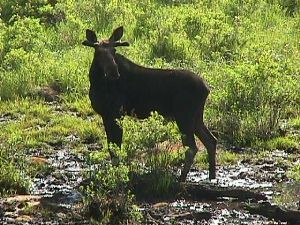 This one was in a wallow just south of Whitefield along Route 3. 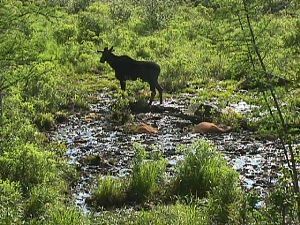 The wallow has been there several years, this was the first time I had seen a moose there. I drive by this spot almost every day. 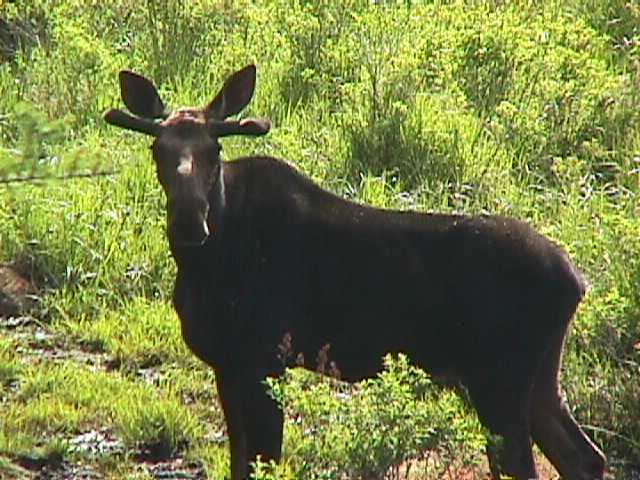 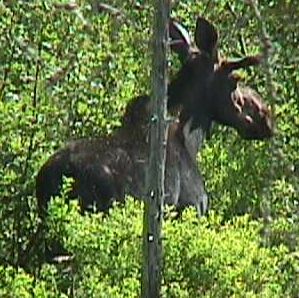 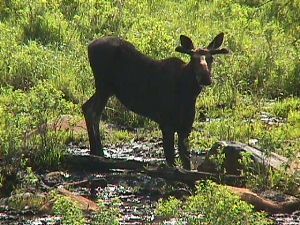 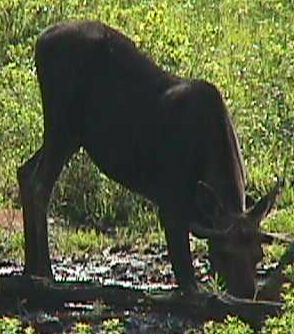 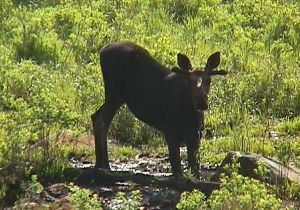 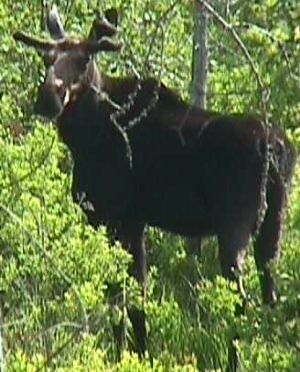 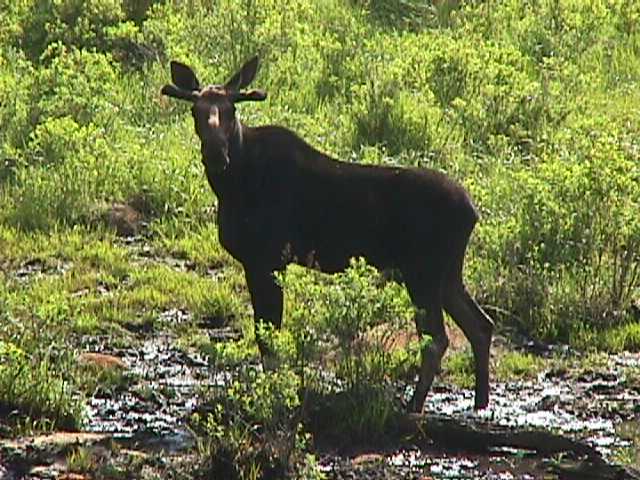 You can see this is a male moose as his antlers are just starting to grow out. 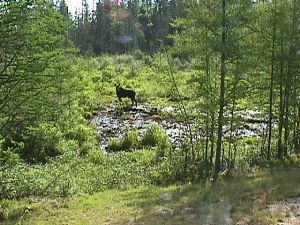 I was standing in the same place for the next several pictures, zooming in using the 10 to 1 zoom of the Sony Mavice FD-7 digital camera. 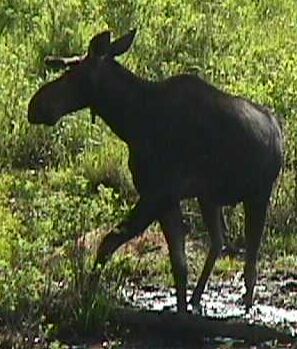 E-Mail: edsanders@edsanders.com Copyright 1999, 2000 by Ed Sanders.